The gold price in the Vietnamese market increased by VND600,000 (US$27) per tael this morning compared to yesterday, selling at VND37.25 million ($1,675) a tael, making the current gap with the world price expand to almost VND1.65 million a tael as per rate exchange in Vietcombank with one dollar is equivalent to VND22,335. The Saigon Jewelry Company (SJC) gold was sold at VND37.25 million a tael and bought at VND36.45 million per tael. The benchmark price of the Hanoi-based DOJI group gold bullion was quoted at VND36.4 million a tael and VND37.3 million a tael for bid and ask, respectively. In the the world market, as of 11:30 am, spot gold prices tracked in Asian markets stood at US$1,305.7 an ounce. 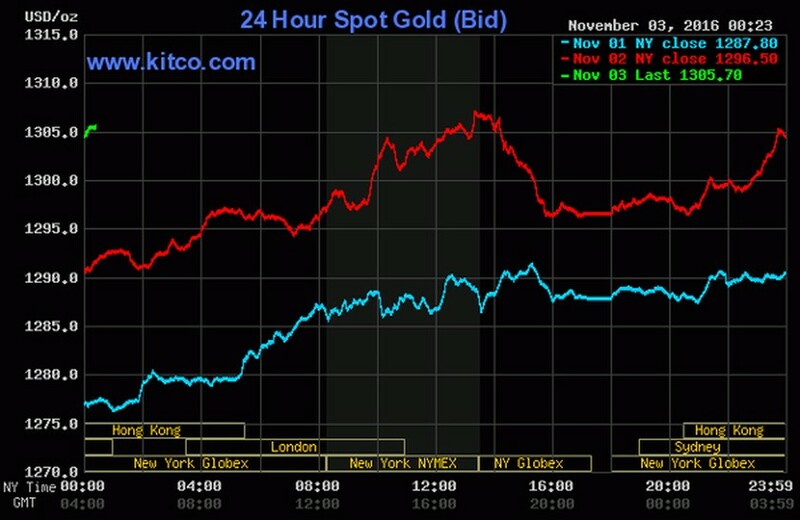 Compared to the previous closing price, the price of spot gold decreased by US$9 an ounce.